Welcome our new night, Basement Beats with Ryo. 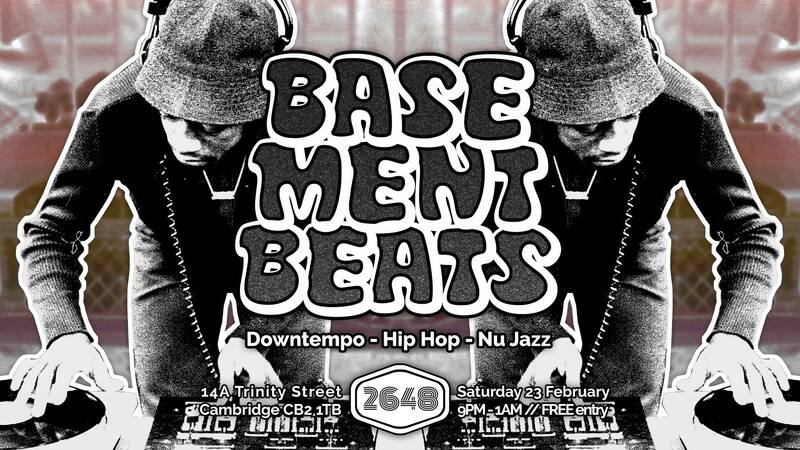 “Basement Beats” is the new addition to the ever growing Cambridge underground music scene, introducing downtempo and trip hop music. Something that was almost entirely missing. Come and join Ryo, the night’s resident DJ, on a journey to the realm of downtempo beats, laidback rhythms and jazzy sounds, and dance or just chill with us in the coolest basement bar in Cambridge.